One of the most interesting places to visit for an outdoor photographer are the National Parks within the United States. Across the country, there are numerous National Parks which attract hoards and thousands of tourists from various walks of life. Photography enthusiasts frequently flock into one of the most prominent parks in the country, the Zion National Park which was referred to be the oldest national park in Utah. Designated in 1919 this place has been known for its magnificent canyons and breath taking river walks. During a short hike around Zion Canyon, this interesting landscape seemed like captivating scenery. The placid flow of the Virgin River water against the imposing texture of the rock formation made this scene a perfect fine art snapshot. 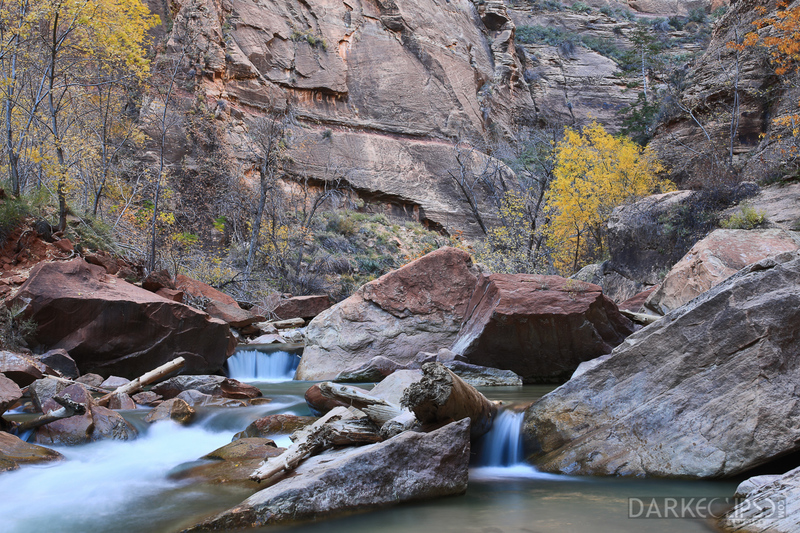 A hiking experience along the Virgin river walk in Zion Canyon creates a serene view to behold. This fine art photograph speaks a magnitude about the importance of texture and contrasting elements to come up with very beautiful photographs. The attention of the viewers are all drawn into the the character of the rock formations because of its visual impact. This kind of visual appeal brings more life and character to this photo. The movement of lines adds a dramatic appeal which awakens human emotions. Buying a fine art print of this photograph can be a sensible thing to do especially for those home owners and office managers who would want to upscale their interiors with a very artsy masterpiece. This picture will not only depict the beauty of Zion National Park but it will celebrate the significance of outdoor fine art landscape photography.